The natural Himalaya salt licks provide your small pet with natural and eΒential minerals and trace elements. This salt lick is an ideal dietary supplement for small pets. It covers your small pet's requirements for minerals and trace elements, thus ensuring a balanced nutrition. Formed over 250 million years ago and extracted from deep in the Himalayan mountains, the Himalayan Mineral Stone is free from the pollutants of today. Only high-quality stones are hand chosen and hand packaged for the wellbeing of your small pet. 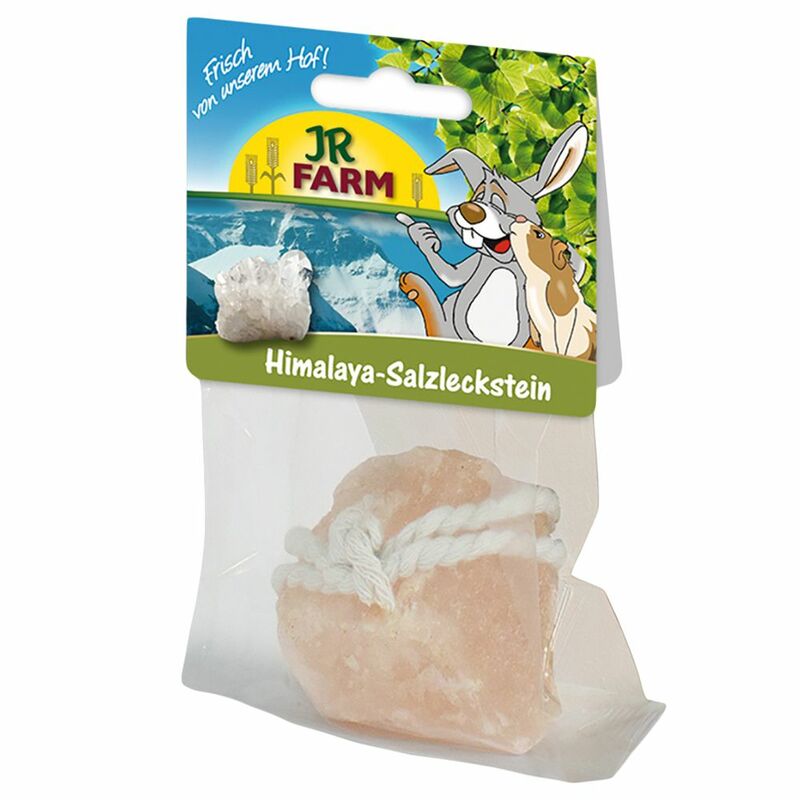 In contrast to preΒed salt stones, the JR Farm Himalaya Mineral Stone is especially hard which prevents overdose due to over-active gnawing or nibbling. Price just £2.79! Click here to buy now!